As we prepare to flip the calendar to another new year, it’s time to look back at all we’ve accomplished – and put off accomplishing – in the one we’re leaving behind. Were you planning to finally retire in 2018, but just didn’t get around to it yet again? This year, why not make a resolution to stop saying “not yet” and discover why retiring now has big benefits for your happiness and overall quality of life? Especially when you make the move to a modern retirement community like ours here at Homestead Village, you’ll discover how to supersize your happiness in ways you may not have even imagined. Of course, you probably have a million reasons why you can’t retire, even if many of your friends already have. We’re here today to explain that those reasons are likely just excuses that are preventing you from living your best life now. Do any of these sound familiar? According to the most recent U.S. Census data, the current average retirement age in our country is about 63 years old. While it’s true that 63 is considered young by Social Security, Medicare, and the average American at this point, this age is right on target with what younger workers in 2018 believed is the “right” age to retire. Of course, if you’ve been good about saving and living a debt-free life, you may be able to think about retirement much sooner than age 63! The state and region you live in make a bit of a difference on when most people decide to retire, and this is somewhat based on the cost of living. For example, the average retirement age in much of New England and New Jersey is 65, and it is 64 in California, places with traditionally higher costs of living. Here in Pennsylvania, where we’re lucky to enjoy somewhat less inflated costs for things like housing, average retirement age matches the U.S. Census data, with 63 being the norm. So, where do you come down on this debate? It is true that more people in their mid-60s and beyond are still in the workforce than ever before, often because they enjoy being busy and productive and don’t see the point of leaving work they love just because they’ve celebrated a specific birthday. Modern retirement does not have to mean fully quitting work, though – no matter your age – or retiring in the traditional sense of the word, at all! Retirement today is all about doing what you want to do because you want to do it, and that’s often best accomplished in an environment filled with like-minded people. Did you know that our Life Plan Community here at Homestead Village completely supports your unique outlook on retirement? As we talked about in a previous blog post, we are very much open to the wider world beyond Homestead’s property borders, and our residents, who represent a broad age range of mature adults, are deeply engaged in the local Lancaster community. Some even still work for outside employers, while others volunteer on or off-campus, and still others fill their days with arts, leisure, education, and other life enrichment activities. While you may feel strong emotional ties to your house, you have to admit that caring for it can be demanding in terms of maintenance, cleaning, and repair tasks, which always seem to be calling your name! You say you’re not ready to sell your house, but think about it for a minute – is it possible you simply aren’t feeling up to the challenge of preparing your property for sale? Putting your house on the market can seem daunting, as you may feel the need to renovate multiple rooms or make expensive upgrades to lure buyers. The good news is that selling in the current real estate climate may allow you to skip much of that work. It’s a seller’s market, and demand is high for quality family homes like yours, even if they need a little TLC. Sale prices are hovering around decade highs, as well, which means you could walk away from your home with a nice profit to invest in your retirement. Remember that selling your home now doesn’t just benefit you, either – your family members and loved ones worry about you keeping after demanding household chores and maintenance tasks. Don’t you wish they didn’t have to be concerned about you or your spouse up on a ladder clearing gutters or carrying laundry down the rickety basement steps? Ease their minds (and increase your comfort and safety) by getting serious about making a move to a carefree lifestyle! Excuse #3: Downsizing is too overwhelming – look at all this stuff! Along with selling your family home to retire naturally comes some dreaded “D words” that sound great in theory, but can be extremely overwhelming in real life – downsizing and decluttering. For many would-be retirees, it’s actually the excess “stuff” they own that’s keeping them from moving on with life, and that’s discouraging and even somewhat depressing. The good news is, you can tackle your clutter with proven tactics and strategies, and ultimately be happier with less stuff! Once again, the key to success in downsizing, as with selling your home, is not to go it alone. Consult with family members, friends, and even professional organizers to make the process easier. And also plan to start small — never aim to clear out your entire house at one time! In fact, you probably should not even intend to clear out one entire room on your first try. Downsizing can also be a more pleasant process when you have already chosen a beautiful new home to move into when all of the work is complete. Our Farmstead Carriage Homes are a good example of the reward you deserve for all of the efforts you have put into getting set for retirement. And the best news is that our Farmstead homes are generously sized for couples, so if you didn’t quite declutter as much as you’d hoped, you can still store it all with room to spare! 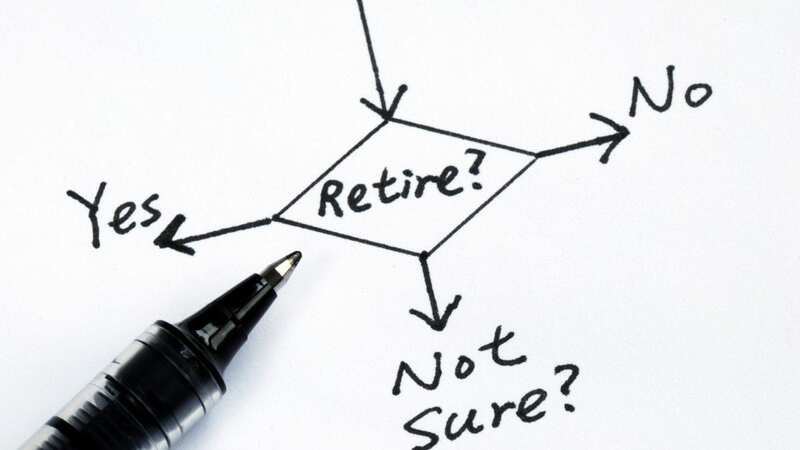 Need help determining the right plan for your retirement journey? Get in touch with our caring, helpful team here at Homestead Village to start the conversation today.